ABSTRACT: Defining marginal country music worlds as broadly either working-class survivalist or middle-class revivalist, I examine how counter-hegemonic representations of gender and sexuality have both infiltrated, and been co-opted by, mainstream ‘country culture’ during the early years of the twenty-first century. I argue that the disruption of traditional gender roles located in the song lyrics and lived experiences of such country icons as Hank Williams and Kitty Wells, highlights a paradox of American working-class identity that takes on new relevance amongst survivalist cultures in the post-industrial, post-9/11 United States. I also connect the ethics and aesthetics of the alt.country/Americana ‘movement’ to the post-modern anxieties of middle-class urbanites, and to the construction of a more democratic narrative of nationhood from amongst the signifiers of a ‘lost’ rural past. hegemonic) representation of gender and sexuality in mainstream popular culture. 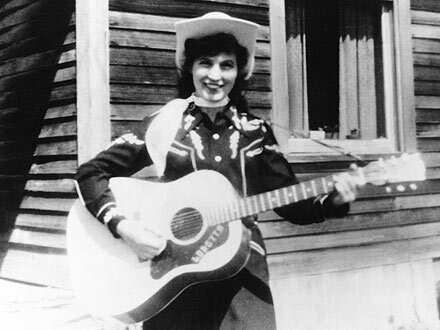 I conclude by considering the extent to which previously ‘taboo’ issues such as single parenthood, lesbian and gay sexuality, and female economic independence, have entered into the dialogue of country music culture; and also, the extent to which the Americana music world’s ‘hip’ urban aesthetic has served as a feminizing influence for country culture. [Dave has kindly agreed for his slides to be reproduced below. All audio tracks are available via Spotify etc].